It’s critical that pool fences, especially in the early stages of pool construction, are erected. 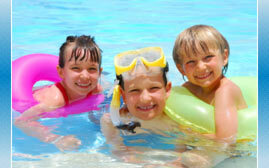 A 50 cm pool of water can be just as dangerous as a 2 metre deep pool. Abacus Pool Fence Hire and Sales can be counted on to help you ensure the safety of your pool and to comply with all relevant laws.